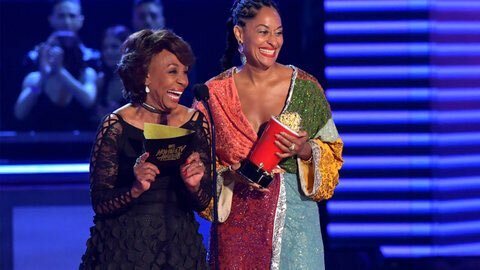 Hollywood leftists gave idiot leftist Maxine Waters a standing ovation this past weekend at the 2017 MTV Movie Awards. Waters, who is dumb as a brick and a leader in the Democrat Party, has called for President Trump’s impeachment several times since his inauguration because she doesn’t like him. Waters also believes Russia invaded Korea and believes President Trump and Bill O’Reilly should be arrested for mean things they’ve said. And the far left cheers this lunacy?